SPARKLE: AMERICAN IDOL Jordin Sparks On Whitney Houston Surprise! 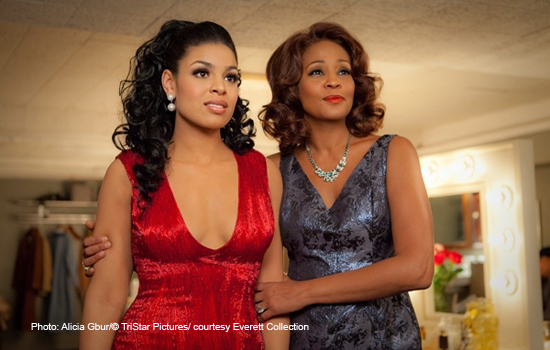 Former “American Idol” contestant Jordin Sparks is making her film acting debut in “Sparkle” which also stars the late and icon pop star singer Whitney Houston. In a recent interview, Sparks stated that it was a surprise when she found out that Houston would be playing the role of her mother in “Sparkle”. “I already know that Whitney Houston was going to be executive producing and thought it would be so great to see her from time to time when she comes to visit. Then it came up that she was going to be playing the mom and I kind of stopped in my tracks because this is going to be bigger for me than I imagined, ” said Sparks. 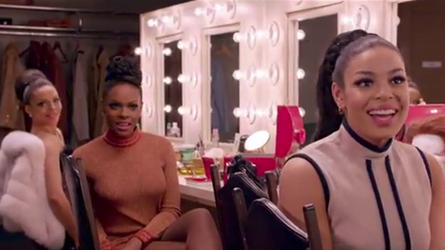 (L-R) Carmen Ejogo, Tika Sumpter, Jordin Sparks play sisters is “Sparkle”. Sparks stated that she shared a special connection with Houston in “Sparkle” being her first film role. “For me it was my first time on the movie. Everyone has a first time. For her [Houston] it was “The Bodyguard” for me it’s “Sparkle”. So it was almost like we had that instant kinship because she knew what I was going through being that I was a singer first and trying to break into this role,” said Sparks. “Sparkle” opens in movie theaters Friday, August 17, 2012.